For those somewhat familiar with Jeffrey Dahmer, The Jeffrey Dahmer Files may come across as useless. It does not do very much besides recount events via talking head segments and reenactments. And for a film dealing with a wealth of social issues, from race relations to sexual politics, there’s hardly anything interesting or new to be said. Chris James Thompson instead opts for a very traditional and methodical approach to viewing the serial murderer. With something like Bart Layton’s The Imposter still fresh in my mind, a documentary that adopts a similar methodology, there was nuance, skill, and depth to its analysis of a man’s psyche. The Jeffrey Dahmer Files lacks the same sort of cinematic flair, instead opting for a dry-as-a-textbook approach. The Jeffrey Dahmer Files opens with a reenactment of Dahmer (Andrew Swant) as he goes about his daily routine. Thompson frames these glimpses into Dahmer’s life in a dreamlike haze, opting against gruesomeness and rather exploits the mundane. While interesting, it does little to expand on Dahmer’s psyche outside of conveying his isolation. Cut into these sequences are a series of talking head segments from his three carefully selected interviewees – Dahmer’s neighbor, the detective investigating Dahmer, and a medical examiner on the case. While offering personal experiences with Dahmer, their analysis of events lacks depth. Or rather, much of the documentary depends on information that feels like a staple of popular culture on the legacy of the serial killer. 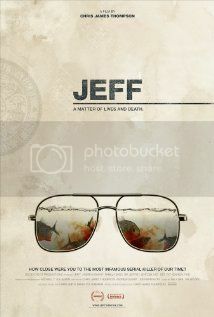 Originally titled Jeff until IFC picked the film up for 2013 distribution, The Jeffrey Dahmer Files is a more fitting title. Thompson unfortunately opts for a very investigative approach to his filmmaking through dryly utilizing traditional documentary techniques. Perhaps aware of the thinness of his material, he utilizes his reenactment scenes to bridge various segments of the investigation (even if these scenes have no relevance to the whole of the picture). At a meager 76 minutes, Thompson drains the well for what it’s worth, but even at this point, The Jeffrey Dahmer Files lacks the depth to warrant even that runtime. Coupled with a complete lack of cinematic bravura, the picture operates with dull proficiency. It simply does not engage the audience even as it remains unabashedly agreeable – there isn’t anything particularly wrong with the film other than registering as flat. Perhaps others would be more critical of such an offense – but The Jeffrey Dahmer Files just doesn’t arouse a high or a low temperament.